After a brief hiatus following the release of Trials of the Blood Dragon, the Trials series is back with Trials Rising. While much of what was shown during the initial reveal should be familiar to fans of the series, Rising will take players on a world tour, with stages in crowded city streets, skyscrapers at night, Japanese temples, and more. Many of these stages change as you ride through them, too, with city streets collapsing as you approach and deadly contraptions going off as you trigger them. The other major change is the presence of other riders. 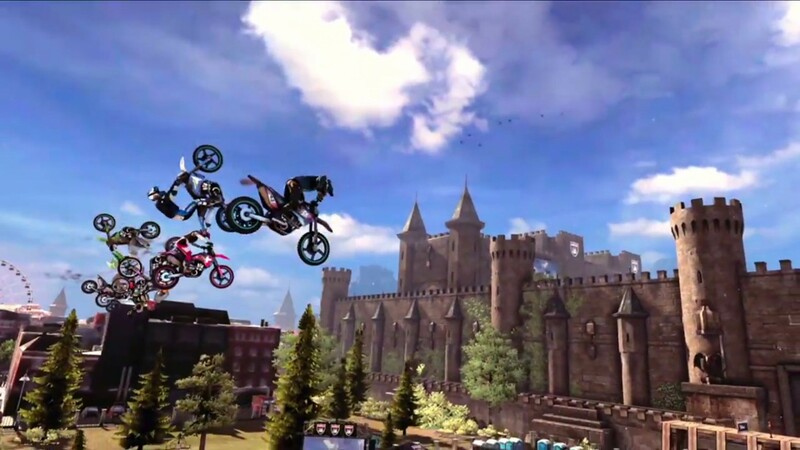 Rising emphasizes the competitive aspect of the series and as you ride, you see several other players attempting the same course simultaneously. It does not look like other players will interfere with your own runs, however. The game also incorporates two years of feedback from prominent members of the Trials community, including track-builders and speedrunners. Ubisoft also announced a few key (if vague) for fans to keep track of. First, there will be a closed beta for the game (which you can currently sign up for) later this year. Second, Trials Rising will release in February of 2019, on PlayStation 4, Xbox One, Switch, and PC.